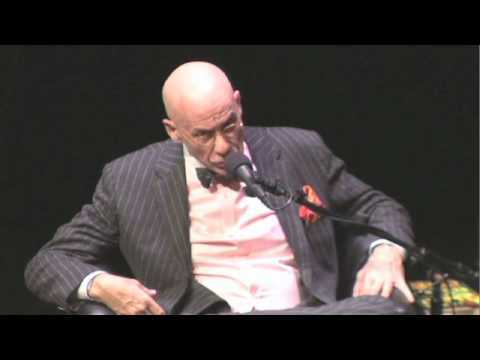 James Ellroy is riveting crime writer whose own family tragedy is as captivating as his works of fiction. Ellroy's work includes novels, memoirs, screenplays, and essays. His speaking focuses on the history and social climate of Los Angeles. A master of noir crime fiction, Ellroy has up-close and personal knowledge of the world of crime. His life, detailed in his memoir, My Dark Places, has been shadowed by a gruesome event: the unsolved murder of his mother when he was a child. Her murder unleashed a force that has propelled Ellroy’s work. He has channeled his anguish and transformed himself into an outsize public persona: an audacious, uncompromising, and unapologetic chronicler of humanity’s dark side. James Ellroy is masterly at speaking, and his own backstory is as riveting as any in fiction. His latest book, Perfidia, is a novel of astonishments, describing World War II as readers have never seen it and Los Angeles as James Ellroy has never written it before. 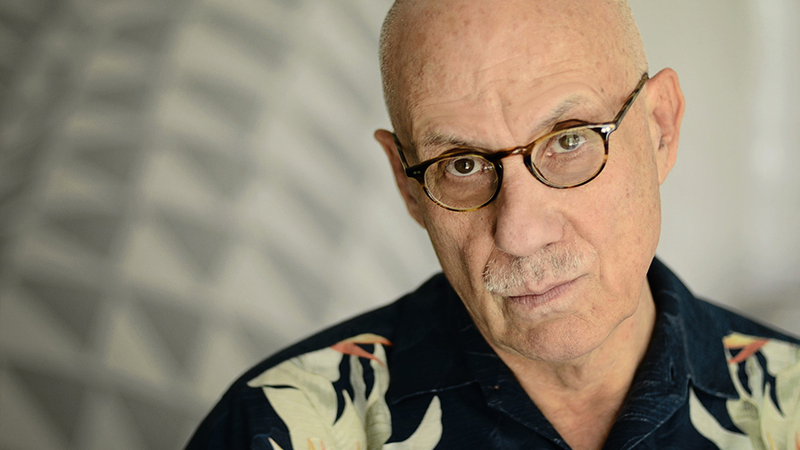 As a novelist, screenwriter, essayist, and memoirist, James Ellroy is more closely identified with Los Angeles than any writer since Raymond Chandler. Nearly all of his writing is set in L.A., in the rough, racist, pre-Miranda Los Angeles of the decade following World War II. Four of his novels—The Black Dahlia, The Big Nowhere, L.A. Confidential (an Academy Award–winning movie), and White Jazz—are collectively known as the L.A. Quartet. His novels American Tabloid, The Cold Six Thousand, and Blood’s a Rover form the Underworld U.S.A. Trilogy. American Tabloid and his memoir, My Dark Places, were each named as Time magazine’s Best Book of the Year (1995 and 1996, respectively). Curtis Hanson directed the blockbuster film adaptation of L.A. Confidential (1997) in which, as in the book, everything is suspect, everyone is for sale, and nothing is what it seems. The Black Dahlia, directed by Brian De Palma, was released in 2006. Ellroy himself has been the subject of seven documentary films, including Feast of Death, by Academy Award–winning filmmaker Vikram Jayanti. One of the great American writers of our time. Pure, unadulterated Ellroy and a darkly compelling deconstruction of the recent American past. . . . Perfidia shows us the war on the home front as we have never seen it before. Perfidia is a brilliant, breakneck ride. Nobody except James Ellroy could pull this off. He doesn't merely write—he ignites and demolishes. Forceful and unsparing in its revelations. . . . Marvelous fury, passion and energy. A remarkable memoir . . . Once again . . . Ellroy [has] come up with the goods.